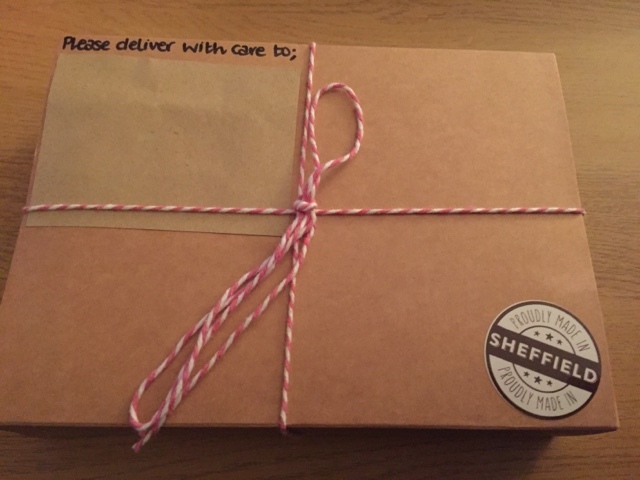 When this neatly wrapped package came through the letter box, I loved the way it had been hand tied with a bow, and my first impressions did not lead to disappointment when I tasted the delicious brownies inside. They are interestingly flavoured and will leave you wanting more and making an order. 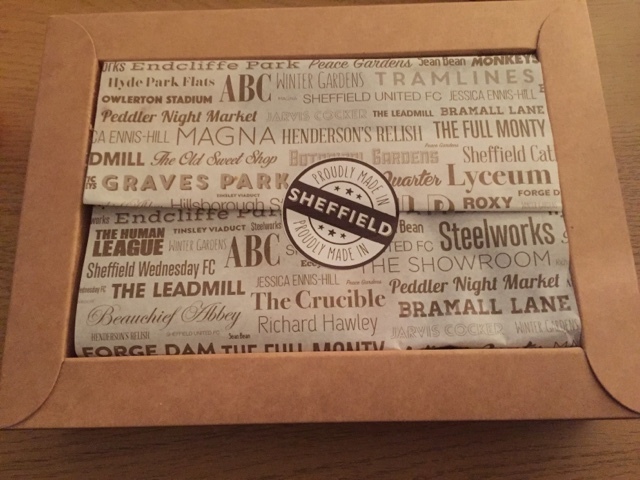 The handmade packaging of the brownies was unwrapped to uncover the Sheffield themed greaseproof paper with names of locally famous places and faces written over it. 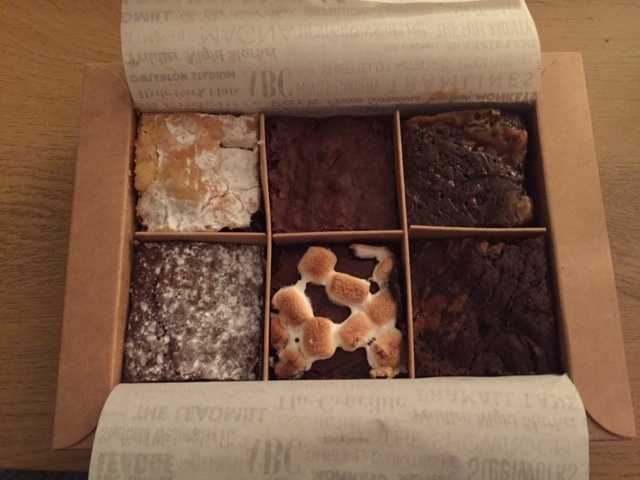 After swooning over the packaging I revealed the brownies, six squares of chocolatey goodness in the box, each with a different flavour combination; Cranberry and Pistachio, Stollen, Bonfire Toffee and Toasted Marshmallow, Amaretto and Rosemary, Cardamom and Gingerbread, and finally Salted Caramel and Cashew. Not your average box of brownies, as Boxed Brownies are aimed at adults so aren't for sharing with the little people. My favourite of the flavours I tried was the Stollen, I know its not a traditional brownie but it said Christmas to me when eating it. I hadn't tried Stollen at all before, but I loved the flavour combinations of the nuts and spices. My second favourite was the amaretto and rosemary. I'm not usually a huge fan of booze in my food but this was a subtle flavour and did well not to overpower the rosemary. I did share these and there was plenty to go around, as the brownies are rich and very filling. They go perfectly with a cuppa of Yorkshire Tea, on a cold wet windy day. Clive and Hayley at Boxed Brownie's passion for these delights really does show through. They only use eggs from their own organic chickens and only use the best ingredients, you can just taste the effort that goes into making them. Boxed Brownies would make a great gift for someone at Christmas or on their Birthday. If you do place an order for Christmas this can be pre-ordered now and will be delivered just before, so they are nice and fresh. On the website, you can see where Boxed Brownies will be but you can order them online. They are priced at £15.00 but you can receive 20% off when you use the code 'CHRISTMAS'. * The brownies were gifted for independent review, all views are my own.